DON'T BUY A NEW FRIDGE - LET US FIX IT! You may not realize you need Refrigerator Repair in Bristol CT until your fridge has already begun to lose it's cold air. When your refrigerator breaks, like many people, you might just start panicking. You might have hundreds of dollars worth of food inside that will spoil if your refrigerator does not begin working properly again. We have helped countless families across Bristol, Connecticut with issues just like this. You can rest easy knowing that our company will be out to see you fast since we offer same-day service. Even if your refrigerator is still working when it comes to keeping your food cool, there could be other issues that you need repaired instead. We tend to all kinds of refrigerator repairs from broken ice makers and clogged water dispensers to blown out light fixtures and touch screens. ​No matter the issue, we can repair it. In addition, we are always sure to have all of the parts that we need in our work trucks so that we can prevent making several trips to a supply house to pick up parts. Our service vans are fully stocked for your convenience because the last thing you want is for your refrigerator repair to take all day. 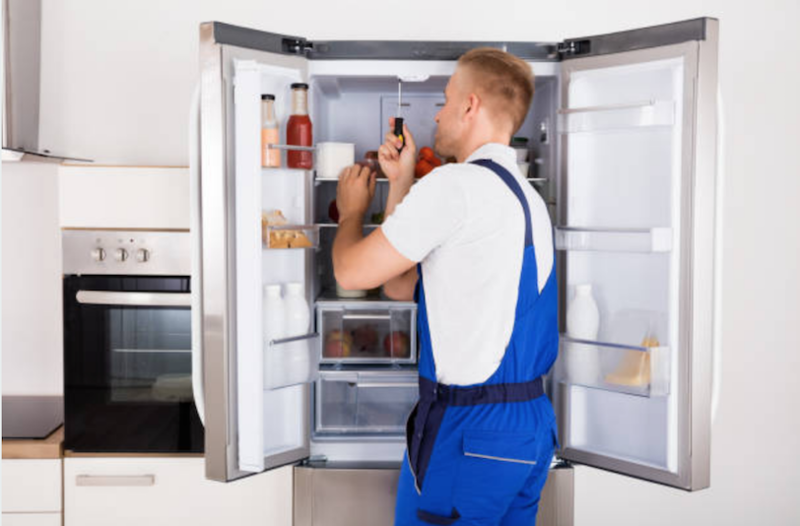 It may start with a strange noise or odd smell, but if you ignore these symptoms of a deteriorating refrigerator motor then you might end up paying a lot more for service later on down the line. It is important to take note of any strange symptoms, like leaks or other issues, right away. There have been many times that our customers might have been able to save there refrigerators if they had acted sooner. When a strange buzzing sound is emitted on a regular basis, it can turn into more trouble later on and will continue to get noisier. This can be a symptom of a refrigerator fan motor that is going bad. We never recommend that you try to repair your refrigerator yourself. There are many complex parts inside of a refrigerator, and if you don't know what you're doing, it is easy to break things worse than they already are. You might think that you're saving yourself money, but in fact, you may cause further damage to the refrigerator and break it beyond repair. That would be a big problem, since then you would need to purchase an entirely new fridge which can cost you thousands of dollars. We are always happy to help you troubleshoot over the phone, and recommend that you call us first before you try to do anything yourself. If you do attempt to fix your fridge on your own, please know that there is actual risk and danger involved with repairing any electrical appliance. Appliances can hold an electrical charge even when unplugged, and you can actually get badly shocked even when the appliance has been disconnected from the power outlet. Also be prepared for the event that you are unable to put parts back properly or know that if you accidentally purchase the wrong parts, for a specific brand, make or model, it can damage your fridge. This can cause more issues down the road, and make it harder for the repairman who may ultimately be called to come fix it anyways. 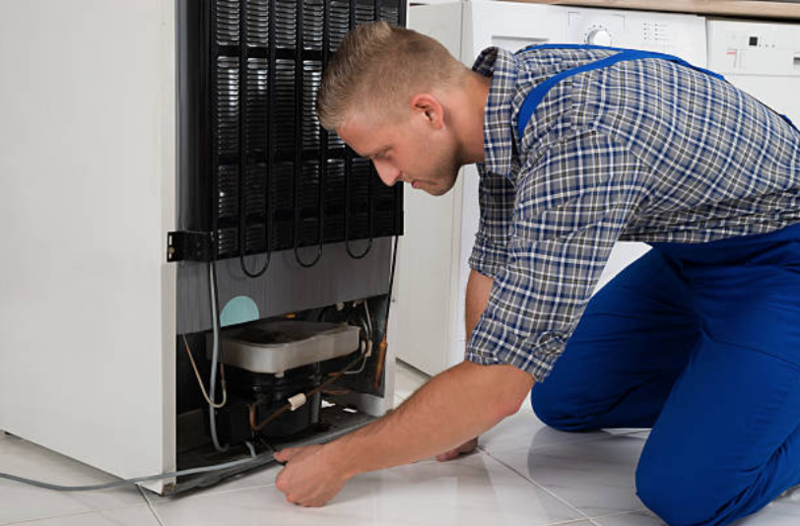 Our techs are highly trained when it comes to refrigerator repair and all appliance repair services. ​In fact we challenge you to find another company that can repair refrigerators better than we can. We are experienced with deep freezers, mini fridges, built-in fridges, large refrigerators, and other cooling appliances. 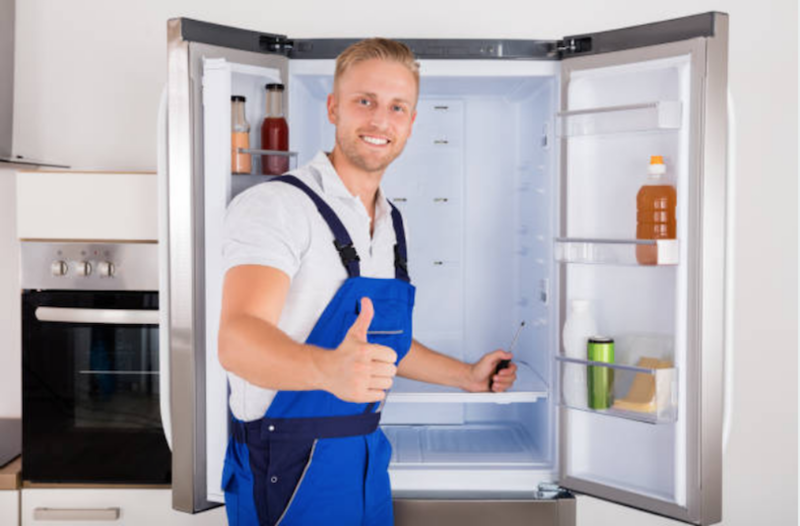 Just call us up to find out if we can service your fridge. We are usually available for same-day service.